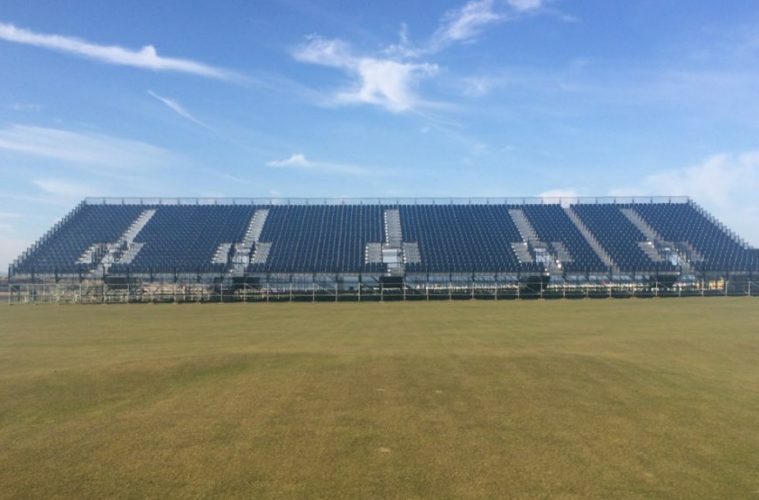 GL events Seating & Stadia has provided the grandstand arena for the 144th Open Championships at St Andrews, which will crown its champion on 19 July. The arena is reportedly the largest-ever arena in St Andrew’s history, and sits at the first, 17th and 18th holes of the course. 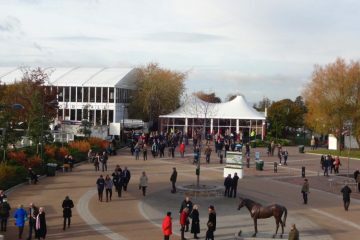 A new L-shaped grandstand and a stand on the 17th and first greens completes the structure. The company is also providing an additional 2,000 seats and a platform for TV cameras over the course’s shop. All together, the structures will seat almost 10,000 spectators; 21,000 grandstands seats will be available across the entire course. 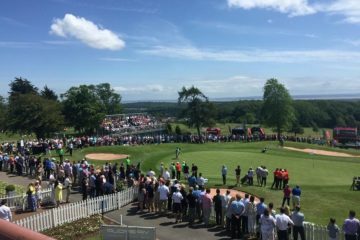 Spectators will be able to watch all the action from areas including the ‘Loop’, which provides views of the seventh, eighth, ninth, 10th, 11th and 12th holes. 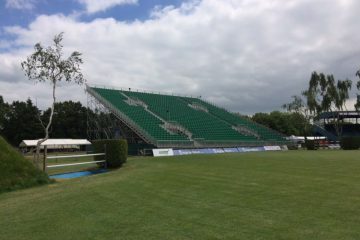 “We want to make sure as many spectators as possible can experience The Open’s unique atmosphere and enjoy wonderful views of the play on the opening and closing holes at St Andrews,” said Johnnie Cole-Hamilton, executive director, Championships at The R&A.